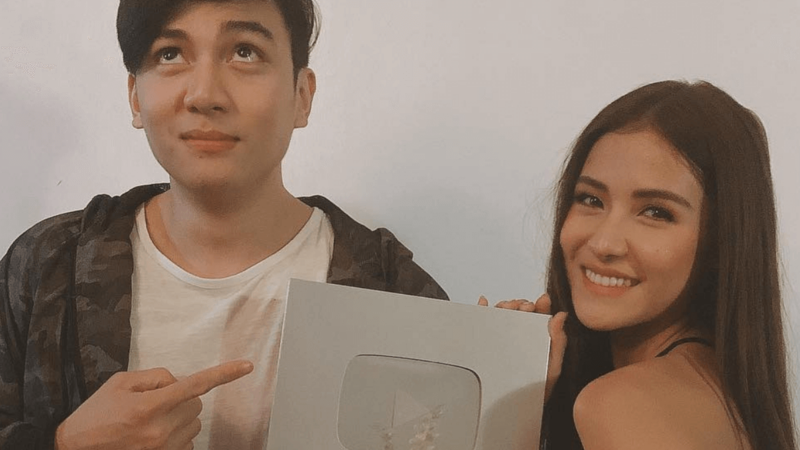 Kapuso actors and siblings Sanya Lopez and Jak Roberto were awarded a YouTube Silver Play Button on April 1. Sanya and Jak each posted the good news on their respective Instagram accounts. The “Bida-Bida Sibs,” who have over 136,000 subscribers as of this writing, uploaded their first video on the popular video-sharing site just two years ago. The videos uploaded on the channel include snippets of their daily life as well as some of their crazy antics. The Silver Play Button award is given to content creators once they reach 100,000 subscribers on YouTube. The next step in the awards is the Gold Play Button for creators who have 1 million subscribers and the Diamond Play Button for those who hit 10 million subscribers. Just last month on March 1, Kim Chiu also received the Silver Play Button for her channel.